West Nest is part of a community program provided by Westside Works. As the New England Patriots prepare to take on the Los Angeles Rams in Atlanta this Sunday, another team is also getting ready to take on the rush at Mercedes-Benz Stadium: culinary graduates. Stadium food stall West Nest is part of a community program provided by Westside Works in partnership with Levy Restaurants. 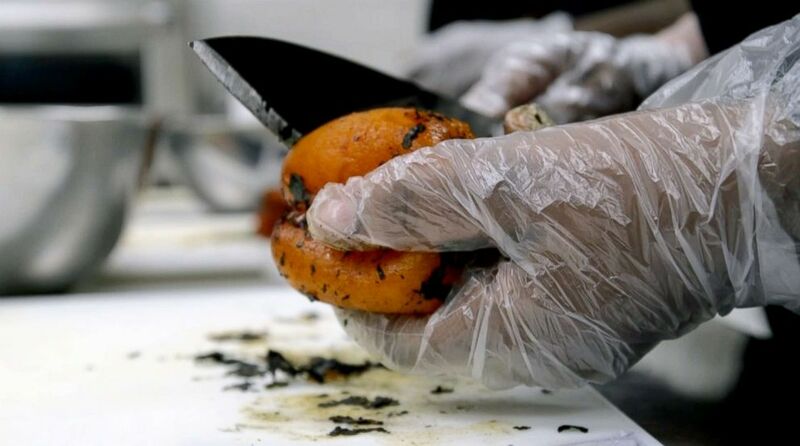 For six weeks, residents from Atlanta’s Westside neighborhood can train in food safety, preparation and techniques. Then, once they earn their ServSafe certificate, they’re placed in a job. For many, they are placed in the same spot they took their course: the West Nest food stall. (Janet Weinstein/ABC News) Westside Works culinary students practice their food preparation techniques. With security preparations underway at the stadium, students currently enrolled in the Westside Works culinary academy practiced preparing food off-site on Thursday. "I was a flight attendant for a major airline," culinary student Candace Glover said. "I recently had a baby, so this is a big career change -- so I could be closer to my daughter and plus I have a passion for cooking." “My favorite part is the preparation,” she added, explaining that she loves seeing the steps that go into a recipe "before it lands on a plate." Though students and graduates typically work together at the stall, only graduates of the program will be working during the Super Bowl.